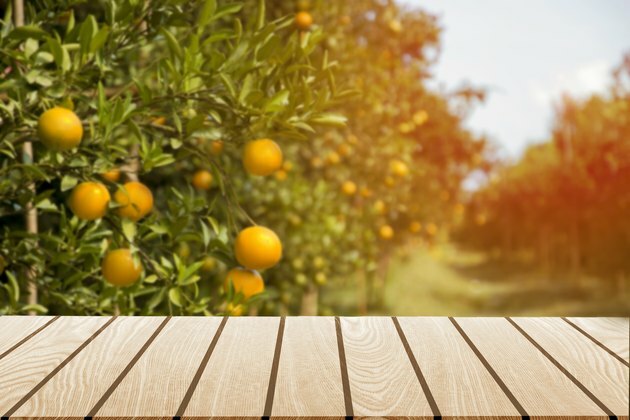 If you live in a climate where citrus trees thrive, you might consider adding a tangerine tree to your garden. These trees are native to Southeast Asia and produce fruit that look like small oranges. These are great trees for small gardens, growing no taller than 10 to 20 feet. You can keep the trees even shorter by regular pruning. And, don't forget all those gorgeous, frothy white flowers that fill your backyard with fragrance. Exactly when do tangerine flowers appear? Well, it all depends on where you live and what variety and cultivar you select. Tangerine trees are small citrus trees with slender twigs and long, thin evergreen leaves. They produce white tangerine flowers, each with five petals and a gorgeous fragrance. In many cultivars, flowers appear in early spring. In some cases, the trees can blossom again while fruit from prior blossoms still hangs on the branches. While tangerines are among the most cold-hardy of citrus trees, they remain warm-weather plants. They thrive outdoors in U.S. Department of Agriculture plant hardiness zones 9 through 10 or 11. But small cultivars are easy to grow in containers in chillier climates. You can move them inside when nights get too cold, or just grow them inside all year long in a sunny, south-facing window. All tangerine trees require a site with well-draining soil and a lot of sun to thrive. Although the trees can grow in shady sites, they are not able to produce many fruit if they don't get much sun. The more sun they get, the larger the harvest. In cooler areas, plant the trees somewhere with a southern exposure to make sure you get some fruit. Tangerine fruit is thin-skinned and easy to peel. The tender, juicy pulp is delicious and has lots of vitamin C. The minute you plant your tree, you'll want to know when tangerine fruit season begins. There are various types of tangerines, including mandarins and satsumas. The tangerine trees are all self-pollinating, and they produce the small, orange fruits in fall, winter or early spring, depending on the climate and the variety. For example, the tangerine fruit season for the cultivar 'Sunburst' is November through January, while the season for 'Fallglo' is October through November. 'Minneola' trees are ready for harvest in December through April. Some varieties of satsuma start to fruit as early as August and others as late as December.